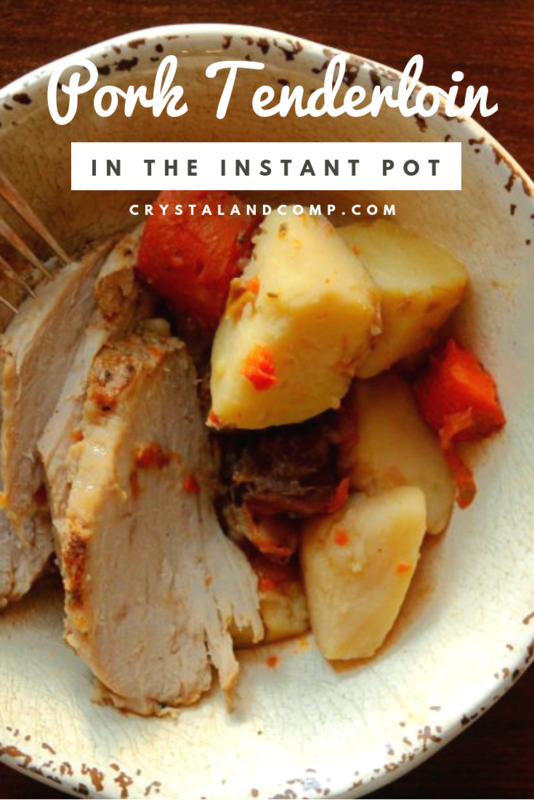 Have you ever made an Instant Pot Pork Tenderloin? This is so easy to do. My life is crazy busy. Sound familiar? The good news is, in searching for solutions I fell in love. Deep. With the pressure cooker! I am serious. Let me show you just how easy this is to make. Tenderloin, potatoes and carrots and dinner is done. This year, before our school year started a friend helped me map out my daily schedule. I was struggling, folks. Between homeschooling, running a business, running kids to programs, being a wife and a mom… things were falling through the cracks. Dinner was a HUGE thing that was slipping. I was ashamed. I mean, I know how to meal plan, but when life gets crazy busy all of that goes out the window. The best part? 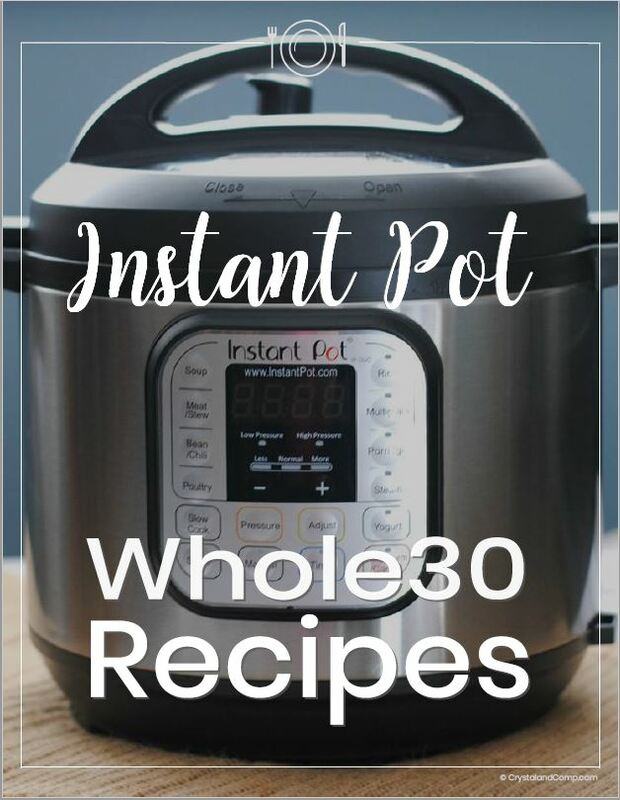 It cooks in 30 minutes… meat, veggies and all! Let me show you how. Remove the pork loin filet from the package. What I love about this, is the meat is already seasoned and covered in marinade. This will coat and season all of the veggies you’re about to add. Yum! 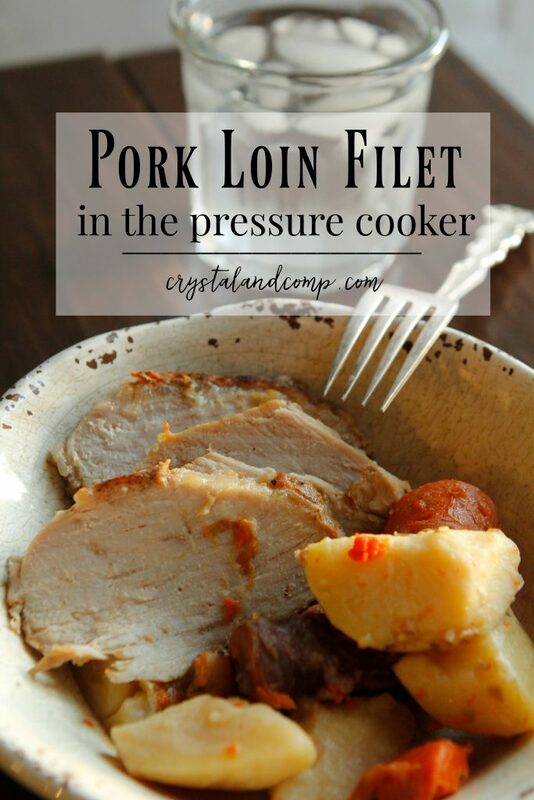 To the base of your electric pressure cooker, add the pork loin filet. I cut ours in half so it would fit perfectly in the base. Add in the onions, carrots, pears, and potatoes. Pop the lid on and ensure the steam valve is closed. This will hold in all of the steam and pressure to cook the food quickly. Set the timer to 30 minutes and press start. Enjoy your home as the smell of dinner fills your home. All of these flavors smell just like fall and comfort food! Set the table for a cozy dinner- wild flowers and a candle. Have the kiddos set the table. When the food is done and the timer goes off, carefully open the vent. Let all of the pressure and steam release. This will take 1-2 minutes. Now, you can remove the lid. Now you can plate it up. Talk about real flavor, real fast! I love that even in a pinch and when we are pressed for time as a family, I do not have to compromise what I feed my family. 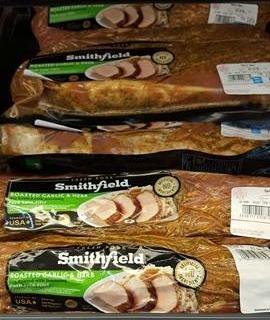 Smithfield is full of flavor! Check out all of these meal ideas for more easy recipes using Smithfield! Meals like this are perfect for fall as the weather gets crisp. Smithfield makes it so easy to get comfort food on the table easily, as it already comes marinated and you literally just open the package and add it to the pressure cooker. The quality and flavor of the meat are not compromised at all during this quick cooking. Literally, it sliced so smoothly when the timer went offer and plates were ready to be made. As you can see, this is a one pot meal. You can serve it with a side salad and bread if you want. If you have never cooked in the pressure cooker before, or want to see the assembly of this recipe in action, we did a Facebook Live of the process. I encourage you to watch it below! 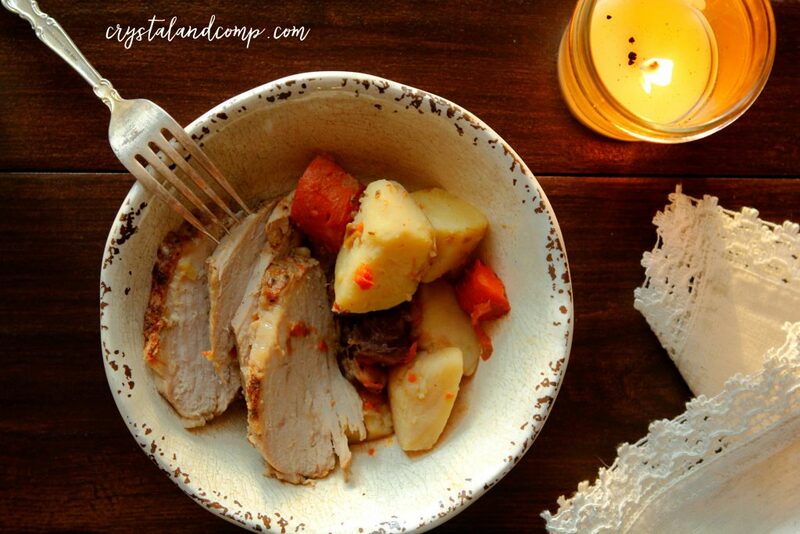 You will be heading out to grab a pork loin filet for dinner as soon as you see how simple this is to create. And when dinner is done, grab your favorite blanket and read aloud and enjoy some family together after this delicious dinner! Love how easy that was? Dinner was done super fast! It took longer to clean up the kitchen! What is your go to dinner solution when you’re pressed for time but don’t want to comprise quality? Are you feeding your family drive thru far too often? Check out our done-for-you freezer meal plans made with you in mind! 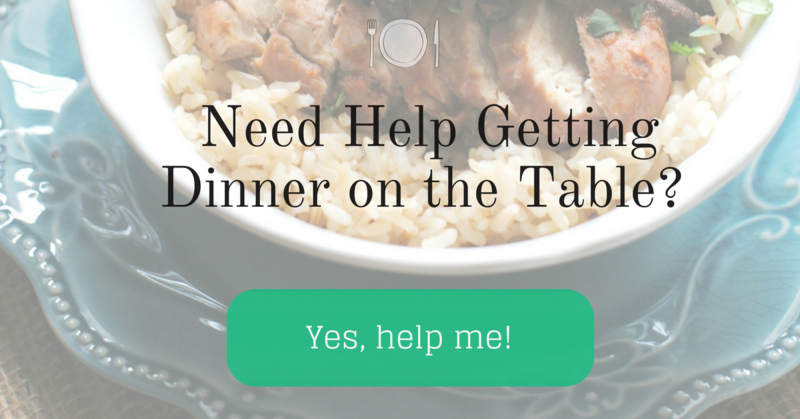 Crystal (yours truly) and Alex (Crystal’s sister-in-law) have created these plans for the mom who wants easy, yet healthy, ways to get dinner on the table!